I had had a dream that Lindsay Lohan would be able to drop by as a surprise first That Is So Fetch Week, Mean Girls Day celebration but then she started attacking Syrian woman in Moscow – on transit here, no less – and I thought mamma mia, I can’t have her here right now so quickly booked a private jet for Amanda Seyfried and brought her visit up a day. Obviously I take Susan’s opinion very seriously, so I jumped on the very next plane to the All My Children set to see for myself. Immediately, I was taken by her talent and I grabbed my rolodex of hate because I hate the phone, not my friends obvi. Oh and yeah, I coined the term, but whatevs – to see if there was anything my friends were doing that would be suitable. “Tina doll, aren’t you writing that movie about bullying?” I naively said, implying that Mean Girls would just be a story of my life, rather than an iconic film. With that, Mands snatched the role of Karen and we’ve been the best of friends ever since. To the point where I don’t even mind that she has co-starred with Meryl twice while I am yet to make it into one of her movies. Given how busy she has been with Mamma Mia 2 and raising her young girl, we haven’t seen as much of each other as we would like. But thankfully our friendship is one that you can slip straight back into like no time has passed at all. 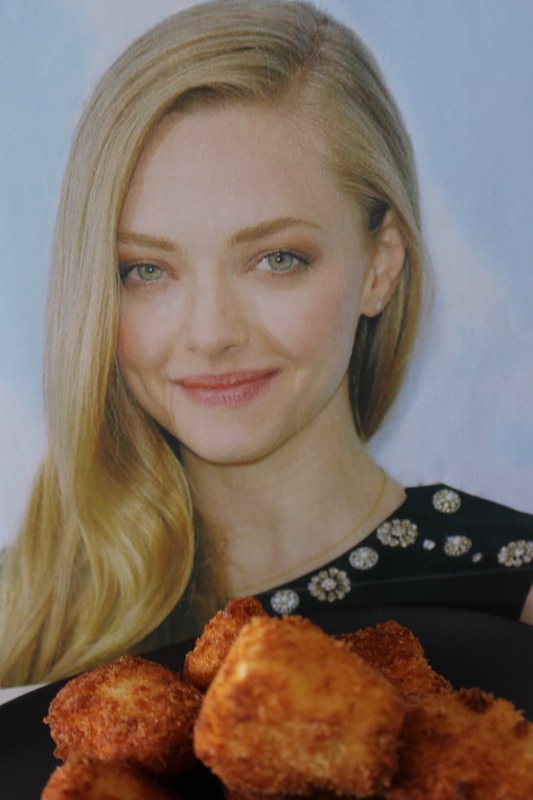 Though how could things be awkward when you’ve got a plate of Amanda Seyfried Brie sitting in front of you. Cut the brie into wedges. Whisk the egg and buttermilk together in a small bowl, place the breadcrumbs in a second and a heap of flour in the third with a good whack of salt and pepper. Coat the brie in flour, dip it in the egg and coat in the breadcrumbs. Place on a lined plate and leave to set for fifteen minutes or so … before re-dipping in the egg and breadcrumbs. Transfer to the fridge to set for half an hour. When you’re ready to go, heat the oil in a pot over medium heat and when nice and hot, cook a few pieces at a time for a minute or so, flipping once, or until golden brown. 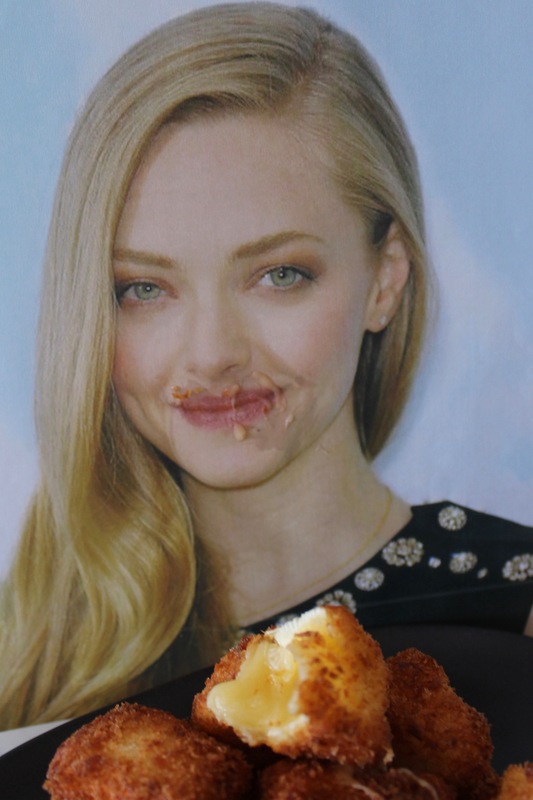 Devour immediately with Chillijamin McKenzie, being careful of the molten cheese.